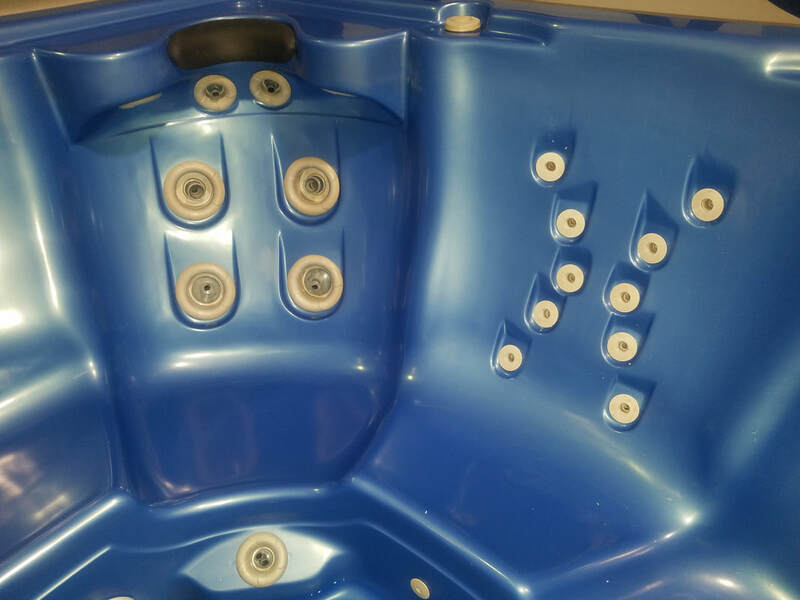 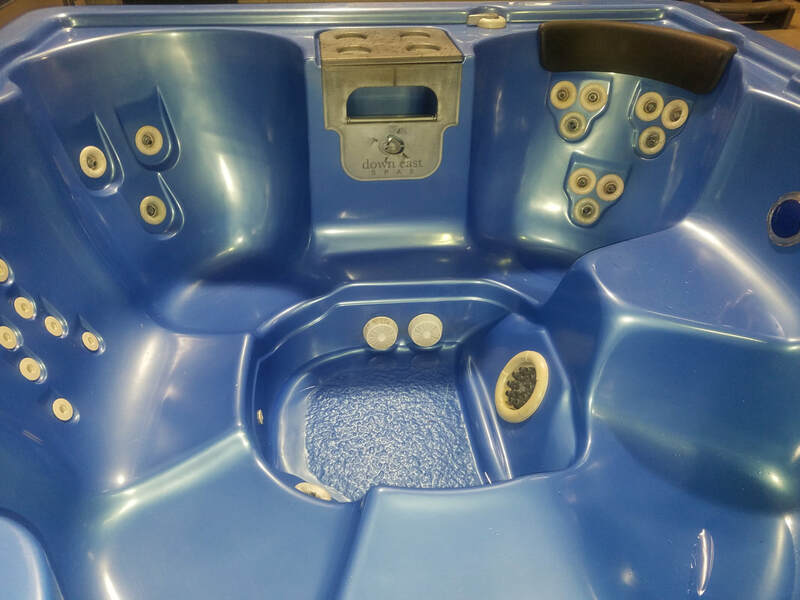 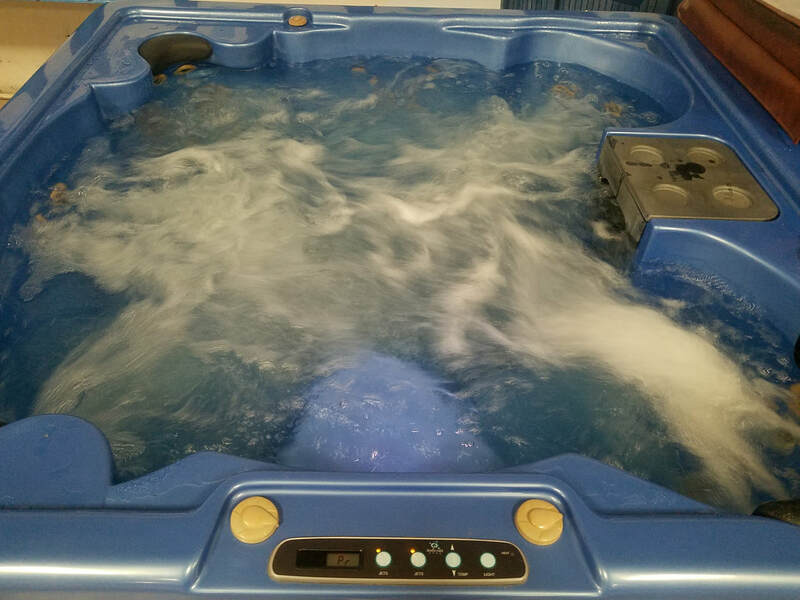 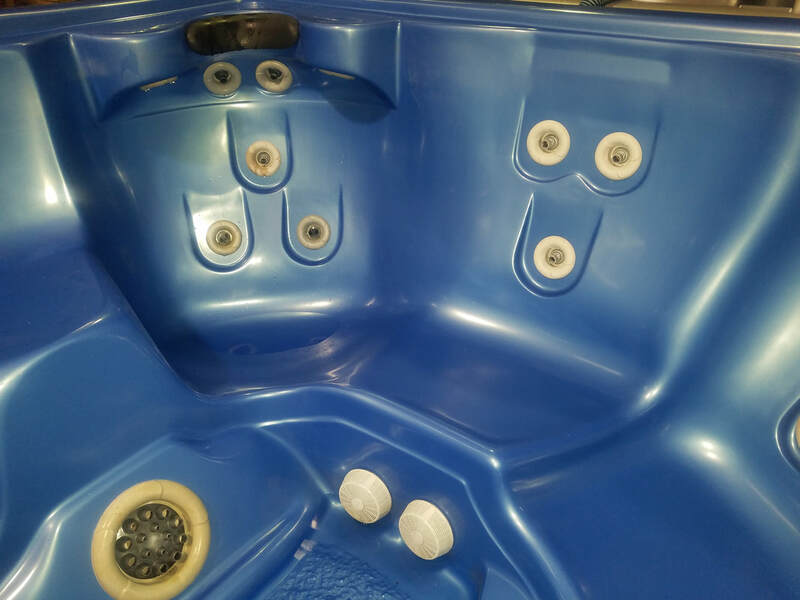 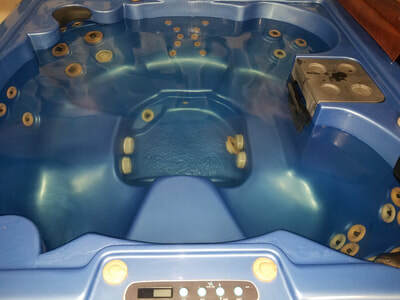 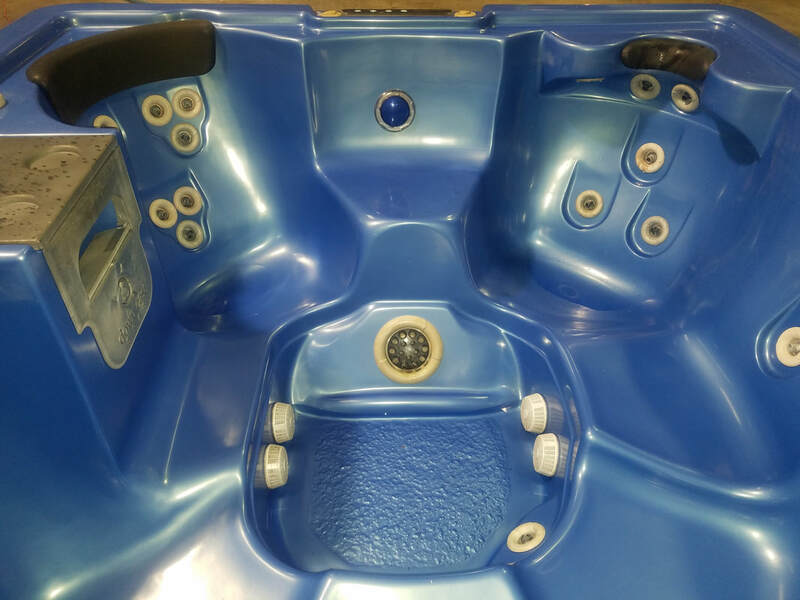 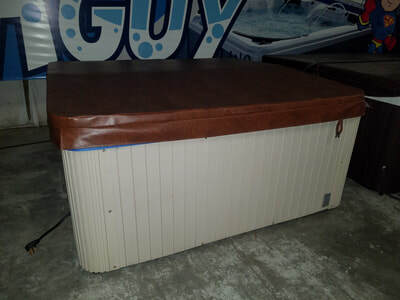 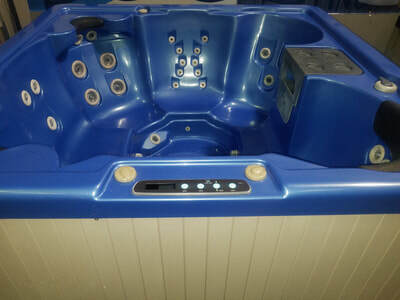 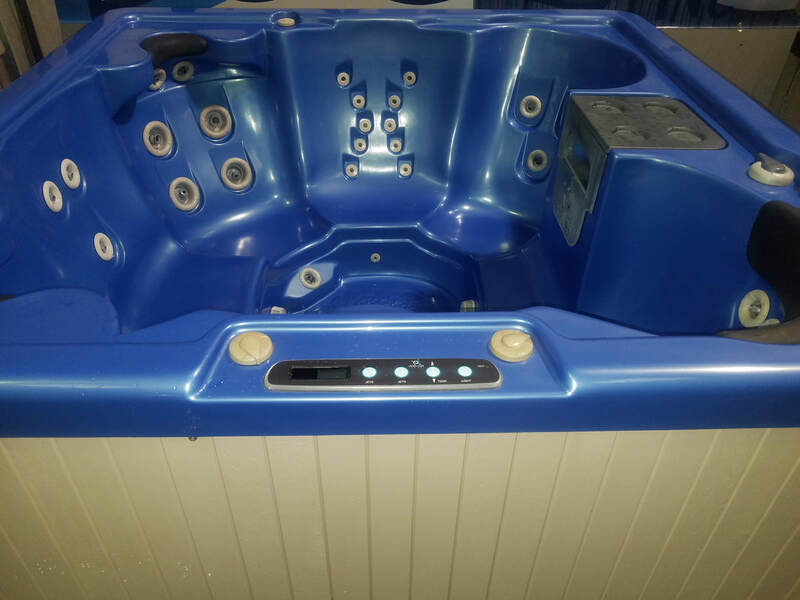 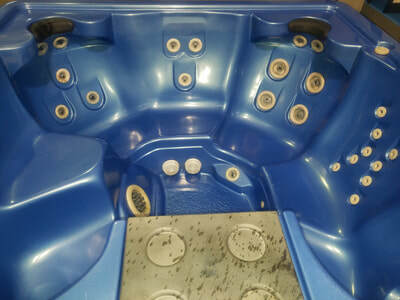 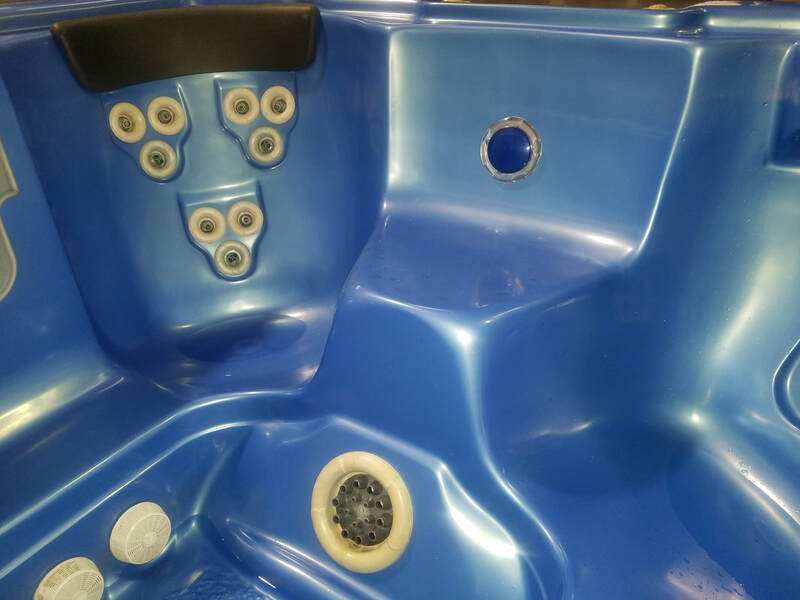 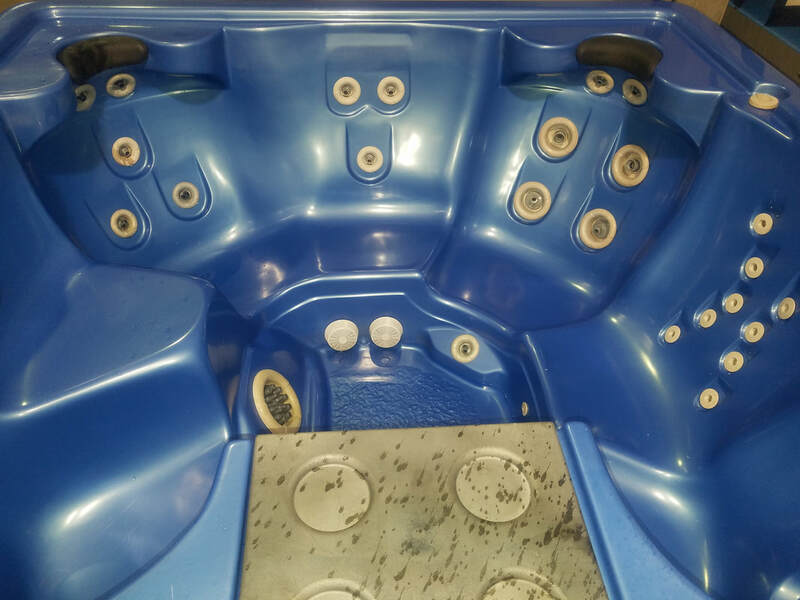 This tub is in great shape and has 38 jets, Plastic sides and a Good Cover. 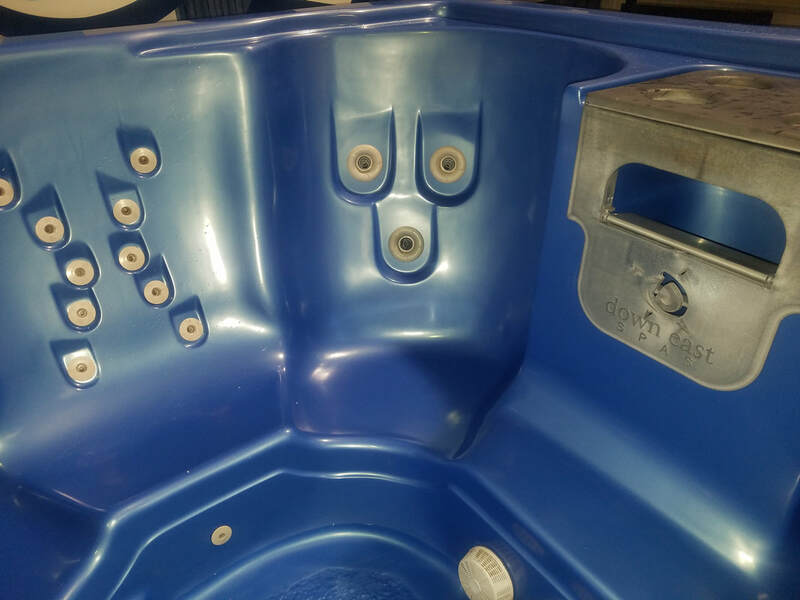 It has 2 pumps, Balboa Electronics. This spa has lots of power, His and Hers Neck and Shoulder Jets and also 2 Master Blaster Foot Jets.